By engaging farmers, processors, retailers, non-governmental organizations (NGOs), and other stakeholders, aquaculture improvement projects (AIPs) work to improve seafood farming production practices and reduce the impact that fish farming can have on wild habitats and the diverse life they support. 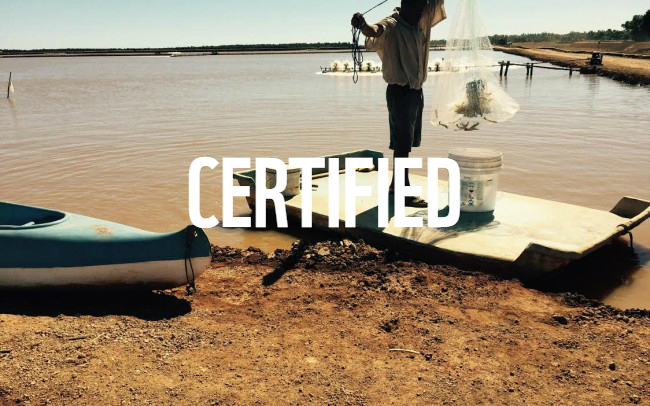 AIPs also help farms earn Aquaculture Stewardship Council (ASC) certification, which WWF recognizes as the most credible and effective standard for determining environmentally responsible and sustainable aquaculture. Aquaculture production has grown steadily over the past 20 years and is the fastest growing animal protein sector in the world. To help neutralize the impact of this growth, WWF encourages large retailers, restaurant chains, and other food service companies to source responsibly farmed seafood and adopt procurement policies that support improved conditions at seafood farms. By doing so, the food service industry can help ensure that fish farms source feed from sustainable, wild-caught fisheries; promote more efficient energy and water use; and, ultimately, healthier and more diverse aquatic habitats. 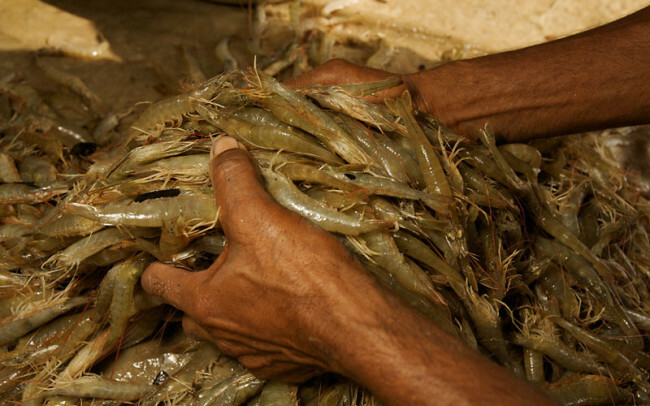 Seven key metrics for aquaculture have been developed to systematically improve farm-level working conditions and decrease the impact of aquaculture on biodiversity. These metrics, also called foundational measures, are embedded in the core of the Aquaculture Stewardship Council (ASC) standards but can also apply to all aquaculture systems, across size, species and place. 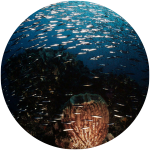 Feed ingredients can come from unsustainable fisheries that impact the health of marine ecosystems. Pound for pound, aquaculture feed contains less wild-caught seafood than it used to, though the growth of the sector is so great that the overall use of wild-caught seafood in feed is still increasing. Like all farming, aquaculture takes up space. Production can occur in ponds, lakes, rivers or along the coast. Mangroves, among other ecologically-sensitive habitats, have been cleared for aquaculture, support area or land for aquaculture feeds. Aquaculture uses a significant amount of fresh water for many reasons, including to fill ponds and to produce feed. While most is returned to the environment, there is much that can be done to improve water use. Farmers must keep fish healthy to use resources efficiently. Low survival wastes feed and contributes to pollution. Good conditions and management can increase farm survival rates up to 98 percent. Aquaculture requires energy to dig ponds, produce feed, and treat waste, though use varies depending. Extensive farms use very little, while farms with 24 hour aeration can use significant amounts. Most farms release water into their surrounding environments. To protect communities, wildlife and habitats, it’s critical to keep waste water free of chemicals, feed, waste and other pollutants. 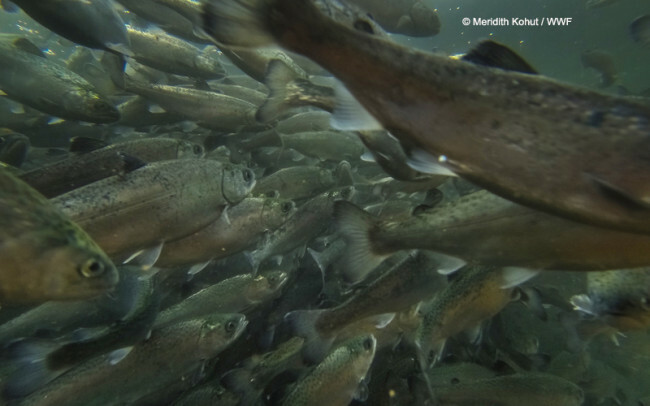 Good management of farmed fish will optimize the amount of ingredients required to feed them and minimize the excess nutrients sent back into the environment. The lower the feed conversation ratio the smaller the waste load. You are part of the solution to advance seafood sustainability. Join WWF in our efforts to strengthen aquaculture practices, conserve fisheries, and protect ocean and coastal habitat around the world.